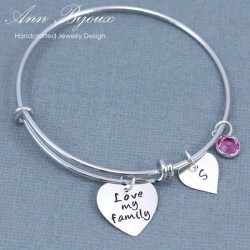 Bracelet There are 58 products. 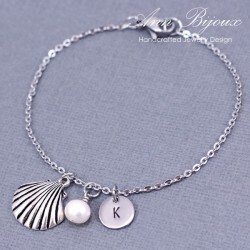 Material : Stainless Steel Disc & Chain, Fresh Water Pearl, Silver plated charm * How to order * 1. Please select chain length and number of disc from the drop down list. 2. Please type initials you want to stamp in Product Customization below. ( ex : K ) The Product Customization is at the bottom. 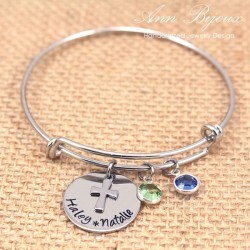 Materials: Sterling Silver Disc, Stainless Steel Bangle, Swarovski Birthstone * How to order * 1. Please select number of birthstone from the drop down list. 2. Please type birthstone color you want in Product Customization below. ( ex : Topaz, Amethyst, Rose, Sapphire, Blue Zircon, Peridot ) The Product Customization is at the bottom. 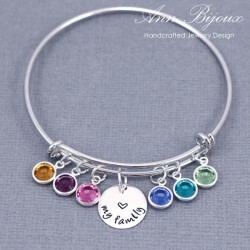 Materials: Sterling Silver Discs, Stainless Steel Bangle, Swarovski Birthstone * How to order * 1. Please select number of initial heart charm and birthstone from the drop down list. 2. Please type initial and birthstone color you want to stamp in Product Customization below. ( ex : S - Rose ) The Product Customization is at the bottom. 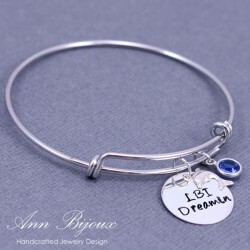 Materials: Sterling Silver Discs, Metal Silver Charm, Stainless Steel Bangle, Swarovski Birthstone * How to order * 1. Please select number of disc from the drop down list. 2. Please type initial you want to stamp in Product Customization below. ( ex : Y ) The Product Customization is at the bottom. 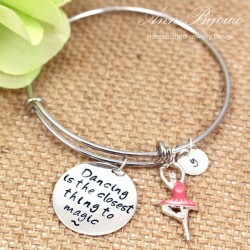 Materials: Sterling Silver Discs, Sterling Silver Charm, Stainless Steel Bangle, Swarovski Birthstone * How to order * 1. Please select number of birthstone from the drop down list. 2. Please type birthstone color you want to stamp in Product Customization below. ( ex : Sapphire ) The Product Customization is at the bottom. 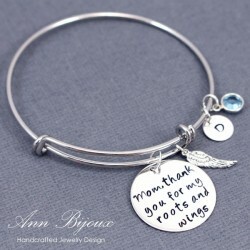 Materials: Sterling Silver Discs, Sterling Silver Charm, Stainless Steel Bangle, Swarovski Birthstone * How to order * 1. Please select number of disc and birthstone from the drop down list. 2. 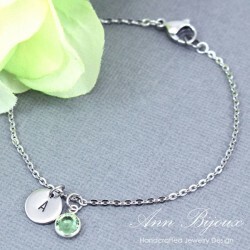 Please type initials and birthstone color you want to stamp in Product Customization below. ( ex : D - Aquamarine ) The Product Customization is at the bottom.